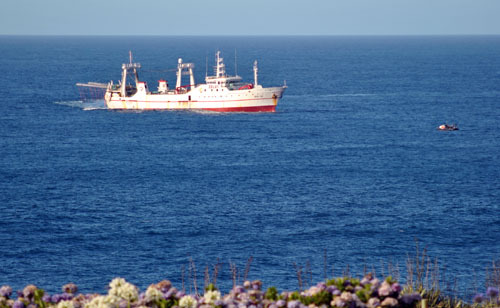 After fishing on Tristan's seamounts, the Argos Vigo is heading for the Falkland Islands. Argos Vigo off Tristan on 23rd January 2019 from above Calshot Harbour. 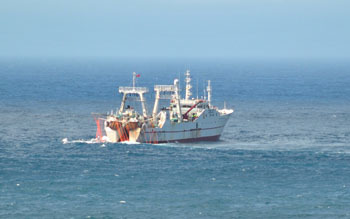 The Argos Vigo returned from fishing on the seamounts at 17.00 GMT on Wednesday 23rd January. The Jasus Tristani was launched to go out and pick up Sea Fishery Officers James Glass (Fisheries Director) and Terence Green. 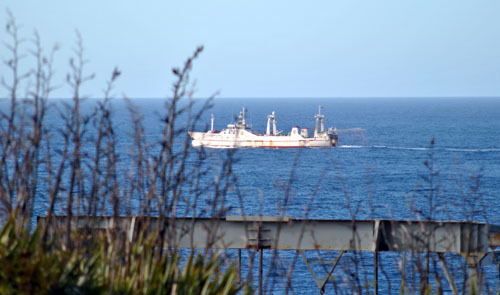 She then departed, heading south towards the Falkland Islands. Argos Vigo off Tristan on 23rd January 2019 from the Residency Garden. The fishing vessel Argos Vigo arrived on Saturday 5th January from Spain to take on fishery observers James Glass and Terence Green before heading off to fish on the seamounts for the next two weeks. 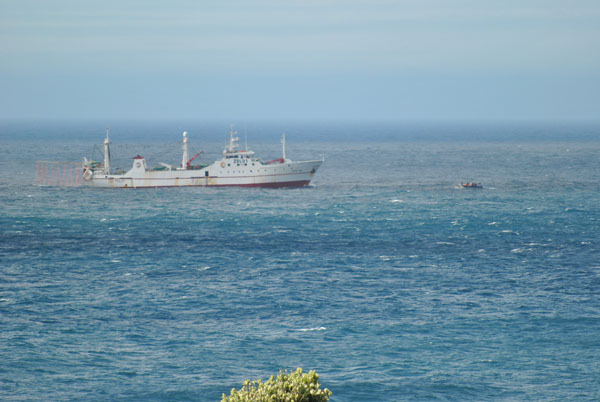 After dropping the observers off, the vessel will continue its journey to the Falkland Islands and the fishing grounds further south. 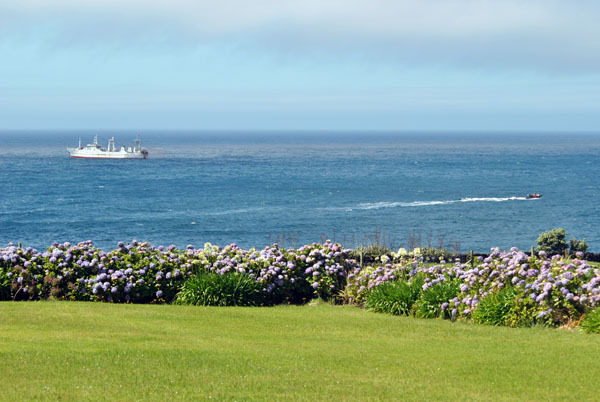 Sean's photos show the vessel off shore as seen from The Residency garden, Sean and Marina's home.